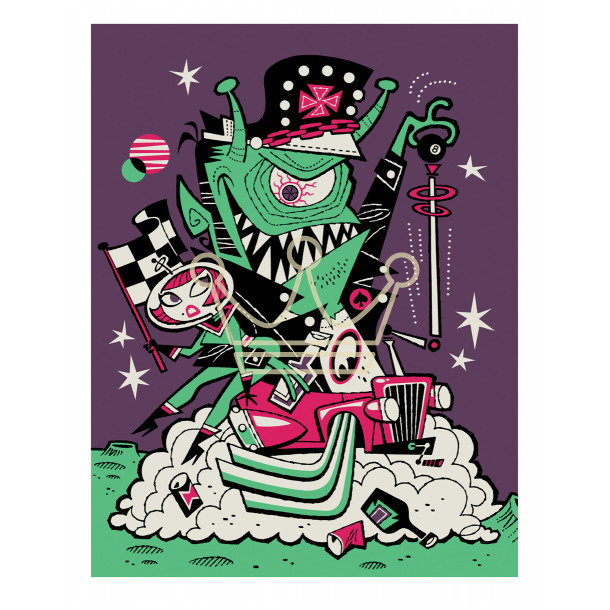 Created to coincide with the release of Derek's newest Tiki Farm mug, meet the Space Gasser Created by our own Derek Yaniger, this collectable digital print is printed on heavyweight paper. Measuring 11" x 15", all are signed and numbered by the artist in a limited edition of 100. Only a handful of these babies left so get yours NOW!